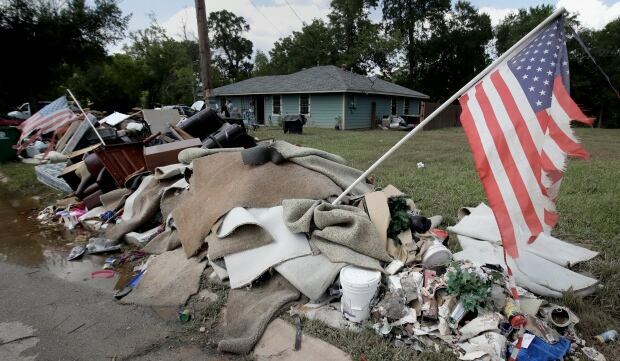 Now, 39 people are dead, more than 44,000 homes are destroyed or heavily damaged and about 325,000 residents have sought federal emergency aid as a result of Hurricane Harvey. The scientist who raised the alarm a year ago watched the waters rise and eventually force him out of his own flooded house. “It’s an emotional issue, because all of our warnings from our research projects have come to fruition,” said Sam Brody, a marine scientist at Texas A&M University. He has studied flooding for 15 years and is one of the authors of Rising Waters: Causes and consequences of flooding in the United States. Brody’s research found that decades of unchecked development in and around Houston had left the water with nowhere to go. Houston was founded on a swamp in the 1830s. The city is built low and flat along coastal bayous, and has always struggled with flooding. But there was a natural buffer that kept the worst at bay: Prairie grasslands, which absorbed water in almost supernatural quantities. The problem is Houston has spent decades paving over those grasslands and building strip malls. 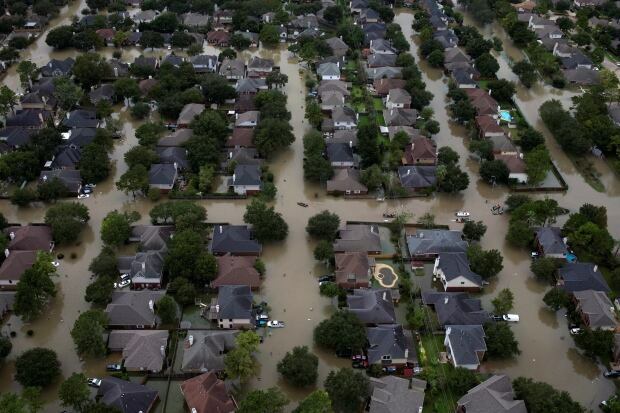 Houston is the fourth-largest city in the U.S. and home to NASA and the Johnson Space Center This is the city that put a man on the moon, but many now describe it as a concrete island floating on top of a swamp. City officials built a series of concrete culverts they said would divert the water. “A lot of officials think you can engineer your way out of that problem and fight concrete with concrete,” said Kiah Collier, a reporter with The Texas Tribune. She was one of the reporters behind the Peabody Award-winning series Hell and High Water, which warned that water would win the fight against concrete. Reporting this week from a neighbourhood devastated by flood waters, Collier told CBC Radio’s Day 6 that officials never took the report seriously. “They were either flippant or frustrated,” said Collier. Now, she’s watching as the predictions she reported on come true. Collier can’t help but think back to the apathy of city officials who were warned this was coming, but did nothing. “Seeing the human side of it, the human impact is really emotionally jarring,” she said. The economic impact will be jarring for the entire country. By some estimates, this disaster will cost $ 190 billion. That would make it the costliest disaster in U.S. history, surpassing the costs of both hurricanes Katrina and Sandy ($ 123 billion and $ 60 billion, respectively).